THE PRESIDENT of China, Xi Jinping, has described Africa as a continent of hope, blessed with natural and quality human resources. Referring to Africa as fertile grounds for businessmen to invest and make profits, he appealed passionately to Chinese businessmen to consider investing in Africa, claiming it is a continent of hope for the future. “Africa is a continent of hope. In fact, it is the continent for the future”, the Chinese leader stated categorically, drawing wild applause from his audience on Monday. According to him, any Chinese investor that would pay heed to his wise admonishment and invest in Africa would not regret, saying “the continent is friendly and fertile for foreign businesses to thrive”. Likewise, the Chinese leader also implored African businessmen and enterprisers to invest in China, assuring them that his country has favourable policies for foreign businesses and enterprises to succeed. 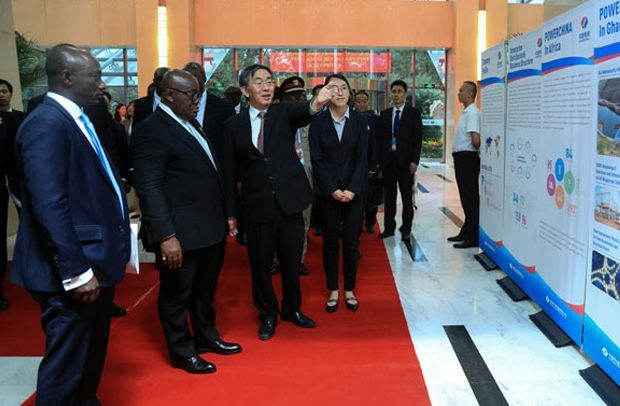 The occasion was the official opening of a high-level dialogue between Chinese and African leaders and business representatives at the Sixth Conference of Chinese and African Representatives. Held at the China National Conference Centre, the historic programme was also graced by scores of African presidents including Cyril Ramaphosa of South Africa, Muhammadu Buhari of Nigeria and among others. Continuing, Xi Jinping said he was proud of the healthy and friendly business relations that had existed between his country and the African continent for many years, calling for the relationship to be deepened. According to him, the relationship between China and Africa is based on respect for each other, trust and mutual benefits for each other, stressing that none of the two parties is trying to take advantage of the other. Xi Jinping stated that China’s decision to do business with Africa has no political strings attached to it, indicating that his country is dealing with Africa with a clean and genuine heart, without any malice. “There are no political strings attached to our relationship with Africa”, he assured his august audience, stressing that China only see Africa as a trustworthy partner. He disclosed with joy that the cooperation between China and Africa, which dates back to many years, had been strengthened in the last few years, and that had resulted in several landmark feats being chalked up by African countries. Xi Jinping said through the cooperation, African countries have been supported by China in the area of trade, health, exchange programmes, human resource development, railway network development, among others. He said after opening up to the rest of the world four decades ago, China has now grown to become the world’s second largest economy, giving an assurance that his country would support Africa to also make giant strides regarding development. Xi Jinping said China and Africa has one advantage in the area of population size, stressing the need for both China and Africa to jealously protect and develop the healthy relationship that exists between them. The Chinese leader disclosed that his country had expended huge amount of money to support mighty projects in Africa during the past three years, promising that China would stand by the side of Africa to defeat poverty and diseases. The high-level dialogue formed part of activities marking the 2018 Beijing Summit of the Forum of China-Africa Cooperation (FOCAC), which is being held in Beijing in China from Monday to Tuesday. Several African leaders, including the President of Ghana, Nana Addo Dankwa Akufo-Addo, is also in China currently to take part in the summit, which is aimed at boosting the friendly relations that exist between Africa and China.